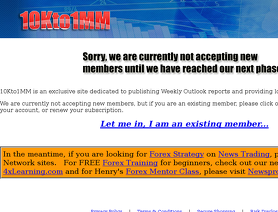 Henry's other websites include NewsProfiteer.com, ForexNewsTradingAcademy.com and CurrencyStrengthRobot.com. For years i have followed Henri Liu analysis and news trading. Personally i have gained immensely from his news letters and trade alerts based on fundamental analysis. Truly, i do not trade is method, but i draw my trading plan from his fundamental analysis . i can say without question that those analysis have helped my trade. henry liu is a mindless gambler, now i know how to trade and now i know how little they know.that and a list of other scammers id like to add. have anybody had real profit with these names? strignano-mark mcrae-bill poulous-cynthia-forex signals-dustin-jason fielder-fapturbo- and i have a looong list....worst after a long time receiving emails i see these people tend to support eachothers products and i would not surprise me they all knew eachother. there is more money in doing opposite of everybody else. anyway a good start.MONEY MANAGMENT, RISK ON RISK OFF STAY AHEAD OF NEWS SENTIMENT good luck and dont be fooled by these email pumpers. I thought I would add my view because I do take advantage of Henry's good work much of which is free and for which he should be applauded. I use his currency strength meter which is excellent and his various news based trading parameters that also work well. I am a firm believer that trade management should be automated because you can undertake high frequency trading and most importantly concentrate on your trade entry rather than constantly watching & tinkering with SL's and TP's. Trade entry timing, risk and position are critical and need 100% concentration. Henry's entry criteria strike me as consistent, clear and are pretty good but I cant comment on his trade management. I also tend to trade majors at news, not the crosses that he suggests as this simplifies the entry while a trailing SL ensures I get some of the pips on offer. Review Moderation Team Note: 4 star rating removed. This review page is specifically for the 10k21mm product. If you want to discuss Henry's other products, most of those have separate review pages at the FPA. Here are my stats and thoughts on the 10k-1mm saga: Henry lui’s 10k-1mm account balance after his first 9 months of trading (13/08/2010 - 13/05/2011) starting with $10,000 account soon became $2,397.52. Update after month ending 13/05/2011 was: $ -7 984.66 to $2159.70. Note: He did manage to reach phase one which was a top of around $14000, but that was very short lived and things soon went from bad to worse after he practiced very poor trading management where he broke all his so called trading rules. I tried to contact him in later months to see how progress was going with his so called program to riches but never got a reply. Be very aware people as he is a fantastic sales man through all aspects of this risky Forex business. His subscription to his10k program is still up for people to scribe to which I find absolutely amazing which just goes to show his lack of care and arrogance. Be absolutely clear everyone he is a master sales/marketer where he uses his best past trades to sell his sale. I only blame myself for being so foolish into falling for all this stuff. I just like to say for any newbies out there that I strongly recommend to stay right away from lining the pockets of these people like Henry Lui and to sit back and develop your own style of trading by learning bits and pieces and to understand the market the best you can on your own and do not pay people to do it for you. For a good start look at "Forex Factory" and look and learn to understand all the different news and learn what they are and watch how the markets react to some of the major news to get a feel for how the market reacts for example. Forex is very risky be careful, people like Henry cannot do it on their own but they can with the aid of a very profitable and lucrative business like selling subscriptions! Most of the people joined 10k to 1MM because of the great results Henry Liu was producing through his News trading. But after joining him,i understood that he is utterly nonsense in any kind of trading other than the news trading. I lost almost half of my capital within first 1month. He was using simple Support and Resistance lines and just because USDCHF had not broken a level,he was assuming that it wouldn't break it and his trades would go right. After everybody started losing money,he tried to trap us by showing great results of his live trading room.He wanted us to pay more to become a part of that room. I understood that he is just a marketer who wants to make more money by making us buy his another product(trading room membership). Many newbies couldn't understand his trick and decided to join his room but i didn't. Although,i got the refund but to get it,i had to send several emails to Plimus. The fact is that 10k to 1MM was a program to make Henry Liu a Millionaire. I bet,he made more than a million by selling this program alone. This guy has been scamming people for a LONG long time.He solicits managed accounts from forums all over the internet.He scammed me back in 2006 with a managed account he blew up.But of course always requested his commission of the profits be sent to him instantly, and then he kept using my profits as margin.Then blamed the final blow out on an EA he had put on my account, while he was asleep.I can not believe now in 2011 people are still being scammed by this liar.Someone needs to notify authorities in his home country and get this crook arrested.He is just trying to get quick money from people then moves on to more people.Stay away from this person. After 15months Henry Liu 10kto1MM balance is 5k since 30th Aug.2011-including 2 near margin calls only saved the acc. by closing a $3253 trade and 2nd time by closing part of two trade twice with a $200 loss and $519 loss.At one point there was a 5.0 E/Chf trade and a 4.3 G/Y trade that is 9.3 trade on a 6k or 6500k acc. Stoplosses removed the now 3.3 G/Y trade is still negative. I really believed in this guy. Looking back I can kick myself for being so stupid. I saw the early signs when he went back on his promise of never risking more than 8%, but still stayed with him. Needless to say he blew my account £8000 plus the fees I gave to Henry. I don't think it did my health much good either and certainly affected my personality.